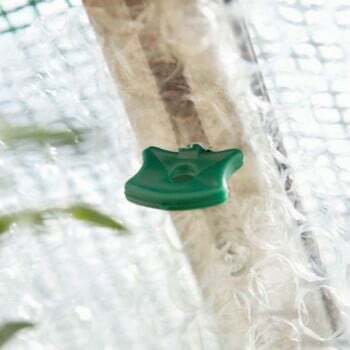 Super Alliplugs are cleverly designed to simply fit into the channels in the aluminium framework of the greenhouse and lock into place, perfect for securing bubblewrap, polythene and shade netting in place inside the greenhouse. Allow 3 Alliplugs per glazing bar. Supplied in packs of 50. 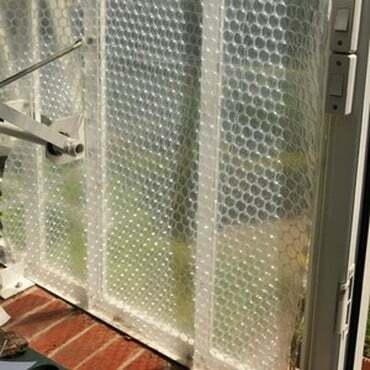 Allispacers used with the Alliplugs the spacers help create an airgap between the glass and bubblewrap to create a double glazing effect. Supplied in packs of 50. Measures 4.5mm thick. Corner Adaptors these are used with the Alliplugs to make fixing the bubblewrap around the corners of the greenhouse easier. Supplied in packs of 10. 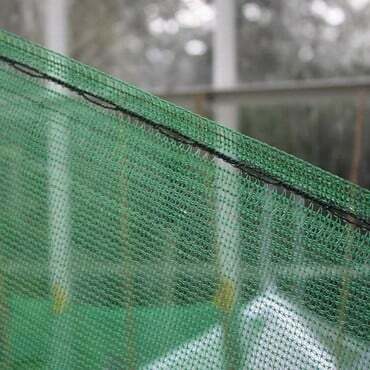 Place the bubblewrap, polythene or shade netting against the aluminium greenhouse framework. 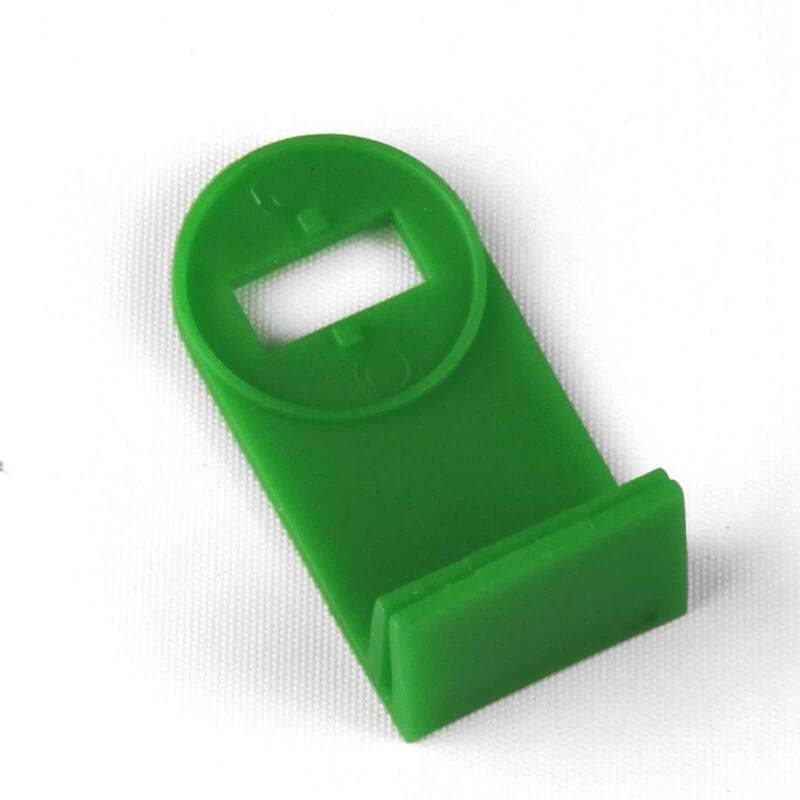 Hold the green collar that comes with the Alliplug over the channel in the aluminium framework. Push the Alliplug through the green collar and material so that the lug fits into the channel in the aluminium framework. Twist the Alliplug to secure the material in place. The collar prevents the material from ripping during the twisting operation. Secure the Allispacers in the aluminium framework to begin with. Place the material over the end of the spacer creating an airgap with the glass. Hold the green collar over the end of the spacer. Push the Alliplug through the collar and twist to secure in place. Clip the adaptor on a corner bar so that it stands proud of the framework. As with the Allispacer above place the bubblewrap over the end of the adaptor. Hold the green collar over the end of the adaptor. Push the Alliplug through the collar and secure in place. 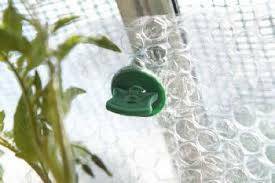 For even better Greenhouse Insulation use the Alliplugs with the Allispacers - these give a 25mm airgap between the material and the glass creating a layer of air between the glass and material for a double glazing type effect. 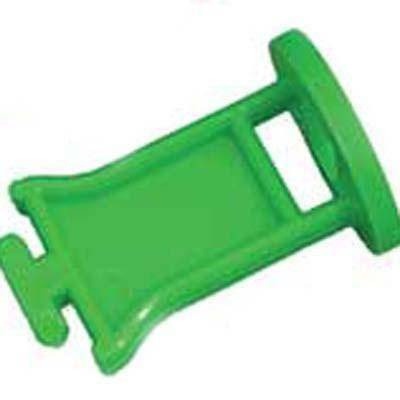 Use Corner adaptors for easier installation around the corners of the greenhouse. Good product but one flaw on this site is that they do not state how many packets we would need for size of aluminium greenhouse. The pack of 50 all plugs only did just over half of our 8'x6' Simplicity aluminium greenhouse so had to go out and buy similar ones from a garden centre (which weren't as good at staying in). Also for owners of Simplicity greenhouses - it has so many fixing bars, even at the corners, so the corner adapters that I bought weren't needed; so check yours before you buy. 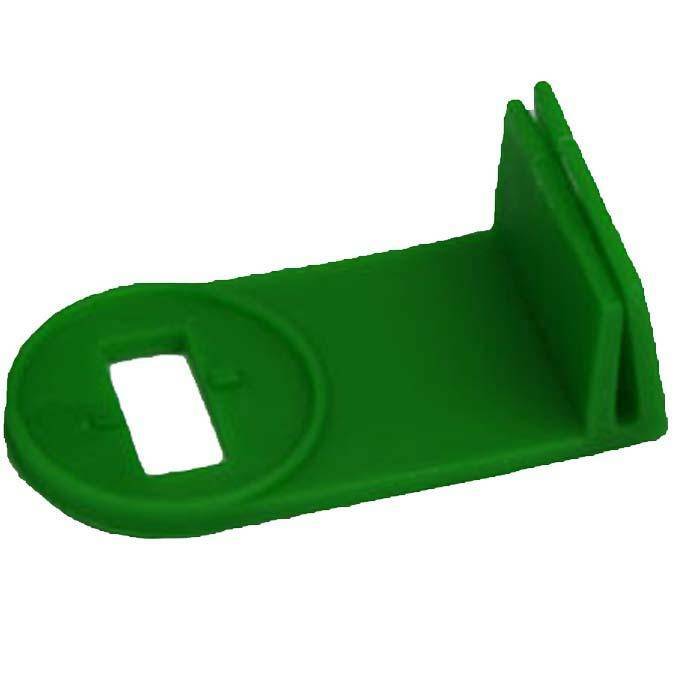 Many thanks for your feedback, however we do state on the product page to allow 3 Alliplugs per glazing bar. 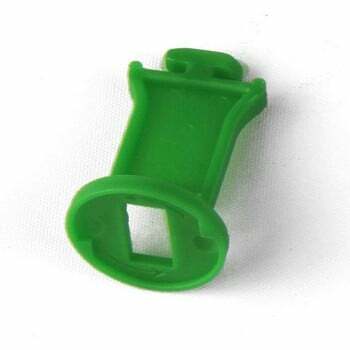 Bought clips for insulating the greenhouse. Delivered in 2 days and worked exactly as described. Excellent product. The Alliplugs and Allispacers are ok and there is definitely an advantage in using the spacers to separate the bubble-wrap from the glass. 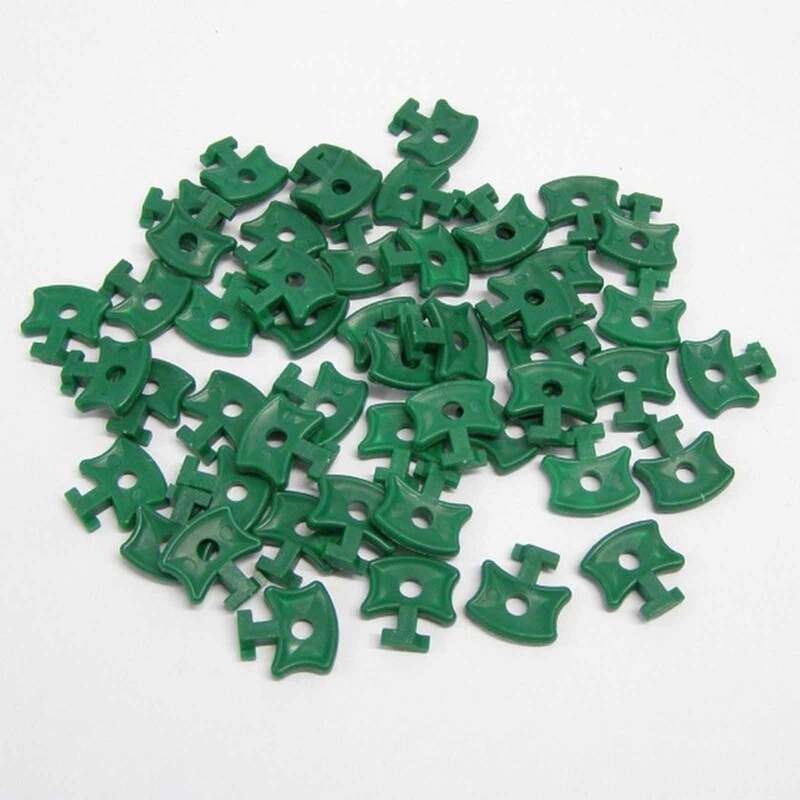 they are not the easiest to use and sometimes break if you apply too much pressure. the corner spacers are pretty useless as, on my greenhouse at least, they continually detach themselves from the greenhouse frame and so become redundant.